Barcelona as a food destination consistently draws curious crowds, lured by the Mediterranean traditional fare and avant-garde Catalan cuisine. 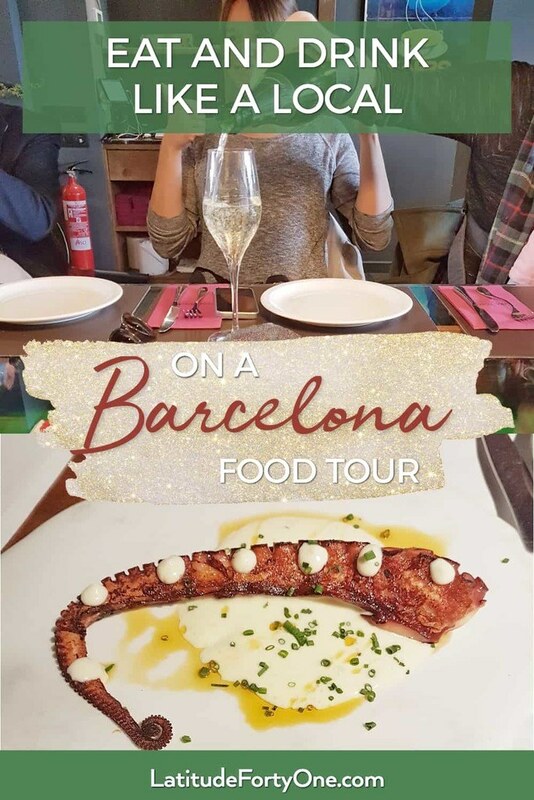 So if you’re visiting Barcelona, joining a food tour the day you arrive can set the tone for your whole trip. 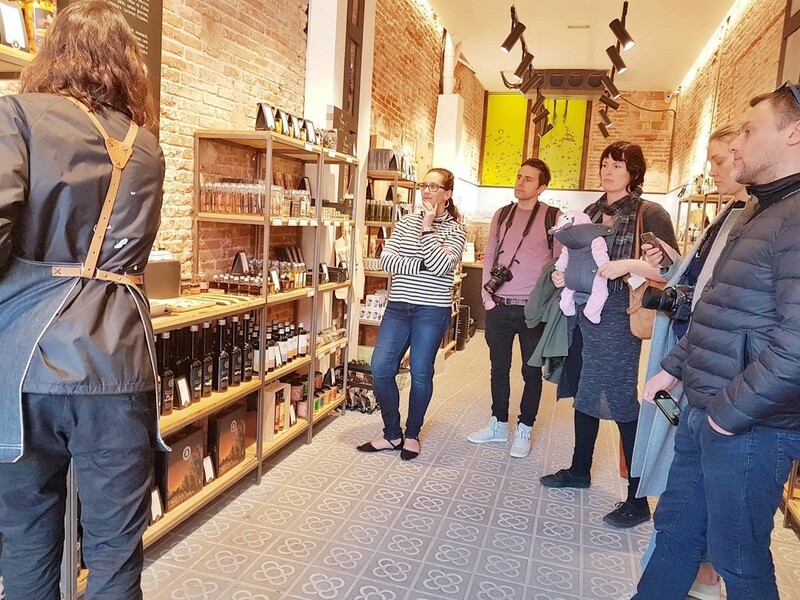 Food Tours Barcelona, a recent addition to the Barcelona foodie scene, has thrown their hat into the food tour ring – with their sophisticated Evolution of Catalan Gastronomy Tour. 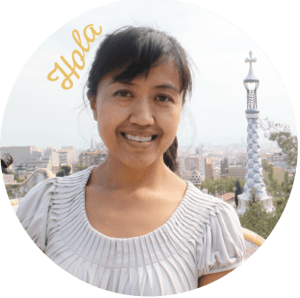 I was invited to join other BCN bloggers as we would eat and drink our way through the Sant Antoni neighborhood. The Evolution of Catalan Gastronomy Tour treads beyond the basic Barcelona tapas tour. 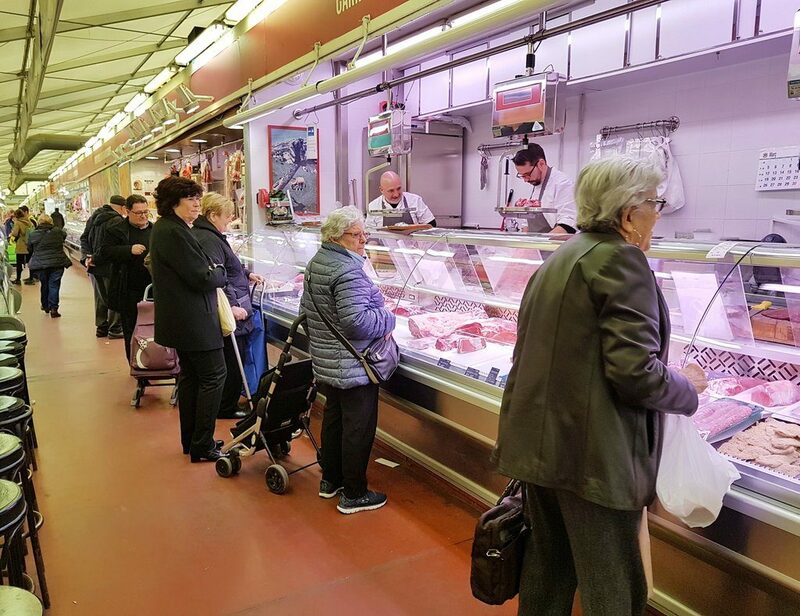 It’s an upscale food tour for visitors who want to immerse themselves in the Catalan culinary scene – and explore the history of local traditions to its modern-day molecular fare a la Ferran Adrià. You’ll prowl the (practically locals-only) food market and authentic Catalan restaurants in the central Sant Antoni neighborhood. The tour starts with a history lesson on gastronomy and the lay of the land, giving us some geographical context to current Catalan food. I put on imaginary nerd glasses, as our fearless and friendly leader, Jessica, broke out a map and explained the logistics behind mar i muntanya (“surf and turf” or “land and sea” dishes), which brings us the delicacies of this robust region. We headed to the Mercat de Sant Antoni in Sant Antoni, my first home neighborhood where I was baptized as a Barcelona resident 10 years ago. Currently, the original building that houses the Sant Antoni Market building, a wrought-iron masterpiece, is under construction. However, the temporary digs would do. It renders the same idea – a thriving market full of local grandmas queueing in a seemingly disorderly fashion at the stalls. Jessica presented us with a mix of delectable hams and cheeses, giving us time to savor our tastings, then quizzing us. As we tried to match names to flavors and textures, she further lectured us with a lesson on cheeses. #2 pencil, sharpened. Notes, taken. We then headed to a rustic bodega-style restaurant, complete with barrels as tables. We continued to eat like true Catalan natives, engaging in a ritual of rubbing garlic and tomato on bread. I was warned not to rub on too much garlic – as a little goes a long way. My husband thanked me later that evening for being so generous in my garlic smearing. 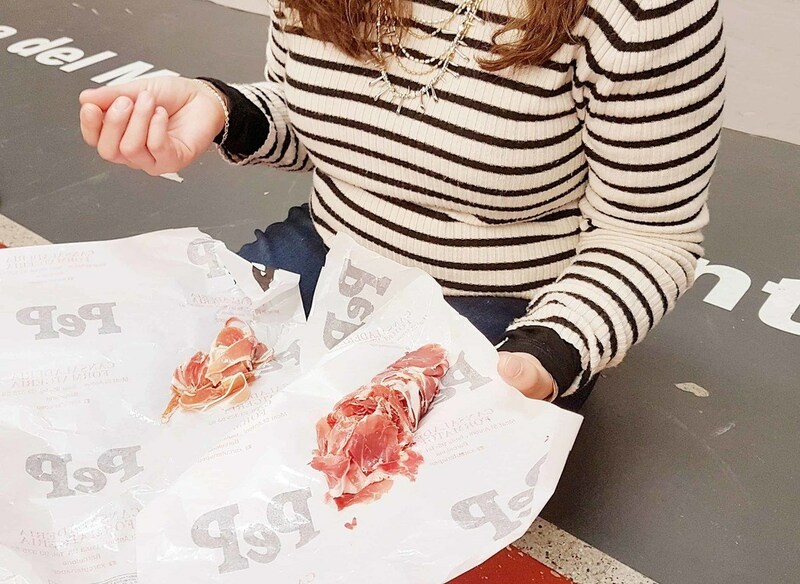 The next few hours were spent at this bodega and two more stylish establishments, indulging in more tastings like Cantabrian anchovies, patatas bravas (spicy potatoes), mini croquetas de chipirones en su tinta (calamari croquettes), and more. We also tried this standout dish: octopus on parmentier foam. The texture was perfectly crispy on the outside. A worker from the restaurant caught his breath as he explained to us how this dish was prepared. Molecular cooking in action. 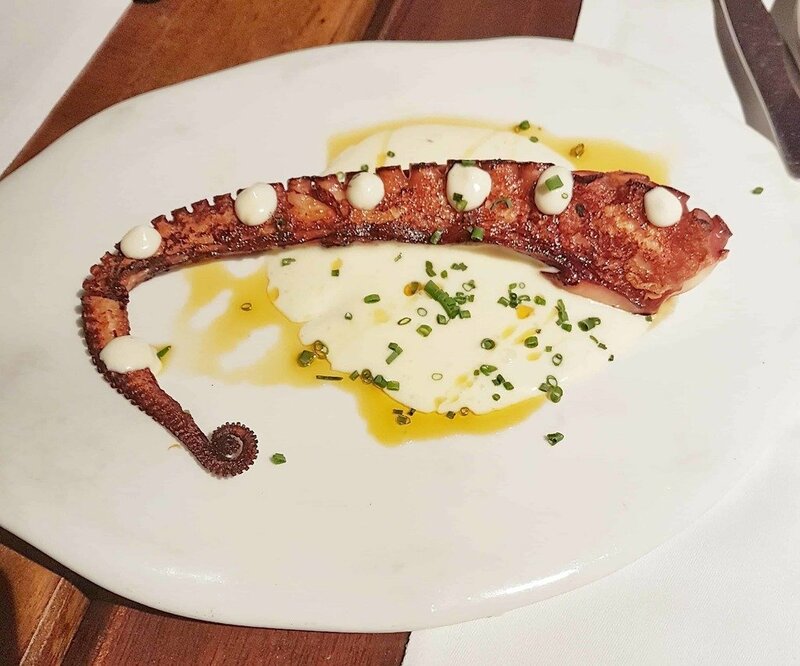 Just like Pavlov’s dogs who hear a bell ringing – every time I see this octopus arm, I salivate. Many beverages were poured during our outing. We tasted the trendy vermouth and splashed it with soda water. We sampled regional wine, an important element of the Catalan food heritage. 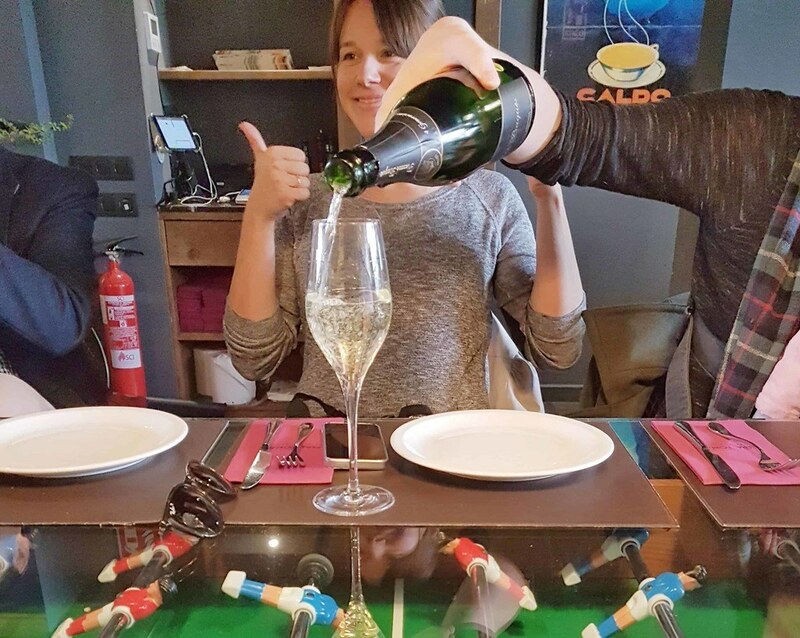 We also guzzled some cava – in short, it’s the Catalan equivalent of champagne, and a must-try. Drinking and devouring the day away. We also visited an artisan olive oil shop, learning about and tasting various Spanish oils — like the hojiblanca, for example, with its lightly peppery flavors and the local arbequina, with its smooth and herbaceous finish. This is a fantastic place to pick up a fancy souvenir, too, to spoil yourself or a loved one at home. Our Barcelona food tour came to end at this hip retro-inspired orxateria, a sweet way to cap our gastronomy experience. We devoured fartons (*snicker* — the name! ), a light, spongy confectionary meant to be dipped in orxata (or horchata in Spanish). Orxata similar to the Mexican rice drink with the same name, but made with tiger nuts. It was happily slurped up in 43 seconds. 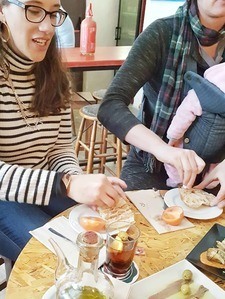 While mosts visitors of Spain are informed with paella and sangría, Evolution of Catalan Gastronomy Food Tour debunks the food stereotypes and gives us an intro to authentic ingredients and dishes in the Catalan repertoire. So is it worth it? Only if you want an a high-end immersive cultural and gastronomic experience – without feeling caught in the congested crowds. 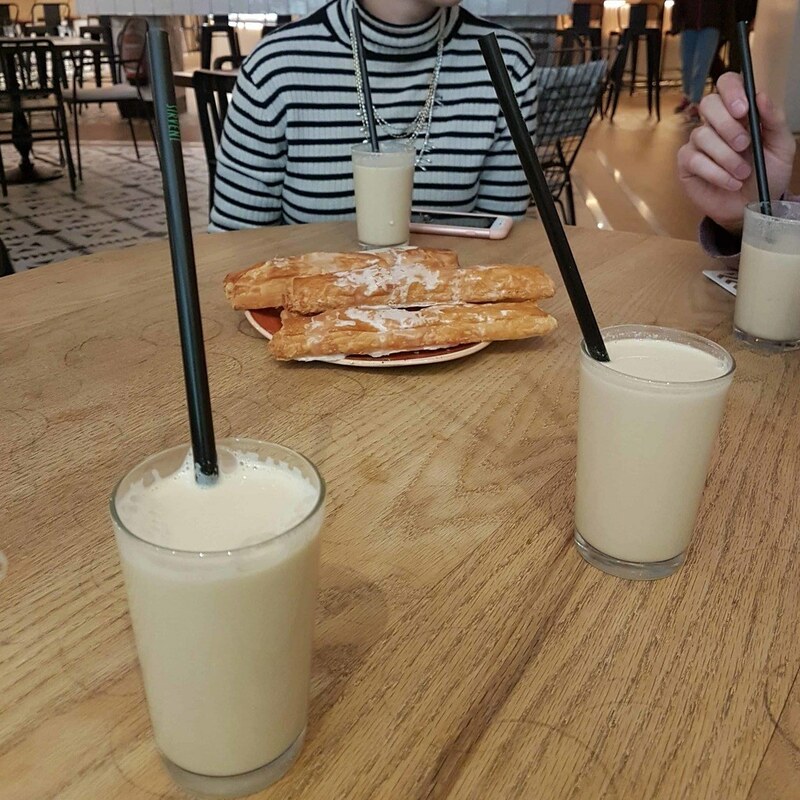 If you’d like another perspective, check out Céline’s post on Barcelona-Museum! You’ll also leave feeling smarter about Catalan history, well-fed from a feast, and well-primed for your next adventure in the city. Food Tours run on Saturdays only, but check the website for more information and find the long list of food and drink delicacies. Have you ever taken a food tour? Do you think a high-end food tour is your thing?